This is what our guests are saying about our fabulous villa. "This place and the owners are absolutely the best! Our family uses VRBO.com for almost every vacation and I'm glad we found this one. Thanks for a wonderful, memorable trip for our family. Excellent, Excellent, Excellent"
Check out our many reviews. This is a luxurious condominium in Villa LaEstancia. Located on Medano Beach, the only safe swimming beach in the area. Villa LaEstancia is operated as a five-star condominium resort. All the benefits of a resort with the luxury of a private home. The villa has three King beds and two queen beds located in three bedrooms with four full baths. Recent furniture update. The bedrooms are all huge. The baths are all marble with granite countertops. Two of the bathrooms have large whirlpool tubs. There is also a full kitchen with all appliances, a breakfast bar, and a laundry room with washer, dryer, and sink. There is a beautiful view of the ocean from the huge balcony. The balcony has ceiling fans and a wet bar with refrigerator. 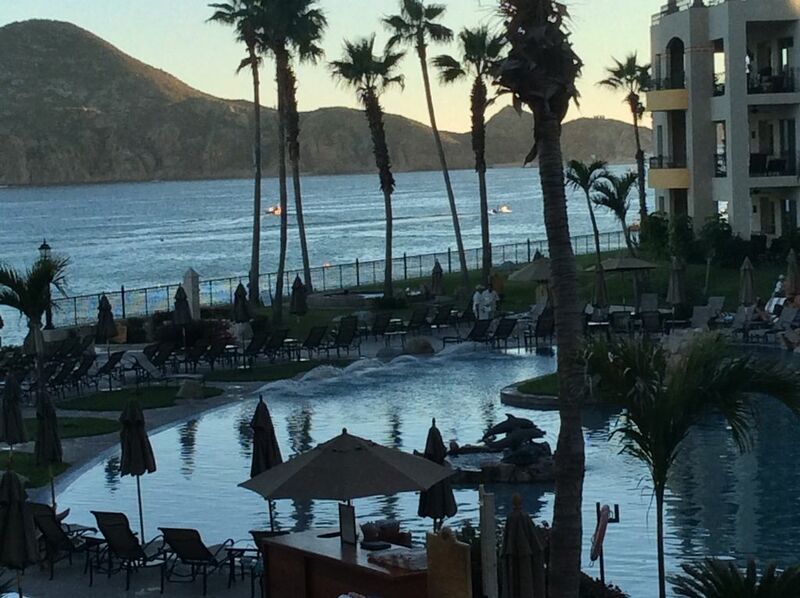 This resort is adjacent to the Villa Del Palmar and Villa Del Arco resorts and guests of Villa LaEstancia are welcome to use many of the amenities of those resorts which includes the Desert Spa, full-service supermarket, video store, and deli. We are very hands on owners and are there to help with any of your needs. We go to Cabo often and maintain the villa in top condition. Don't take our word for why you should rent our villa. Take our former guests' reason why you should stay in our villa. In addition to our involvement as owners, we have hired additional on site managers to make sure everything you need is taken care of. Free WiFi throught the resort complex. This villa has a private, free wireless router in the Villa and wired connections also. (4) TV in each bedroom and living room (4 total) with DVD. Blue Ray in Living Room.